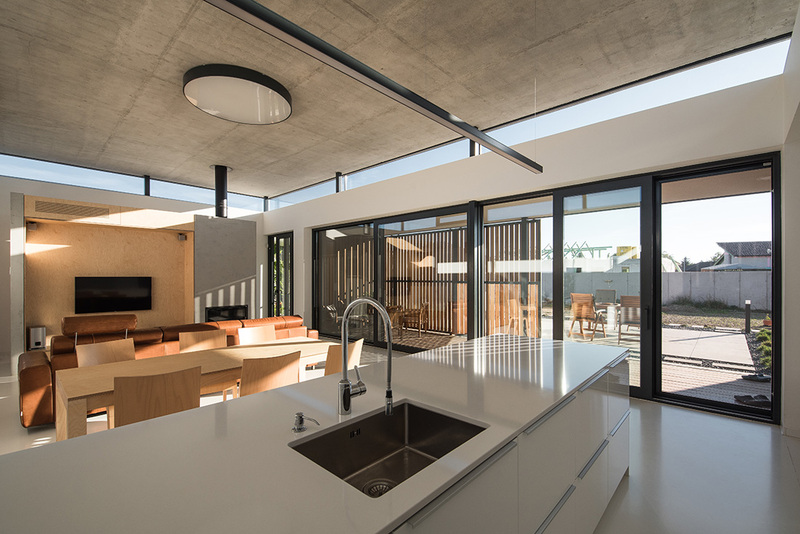 The main determinant of the concept of the family house was its specific building program with an emphasis on the generosity of the living space. The aim was to create a minimalist and purpose-built structure that can serve as one or two-generation housing. 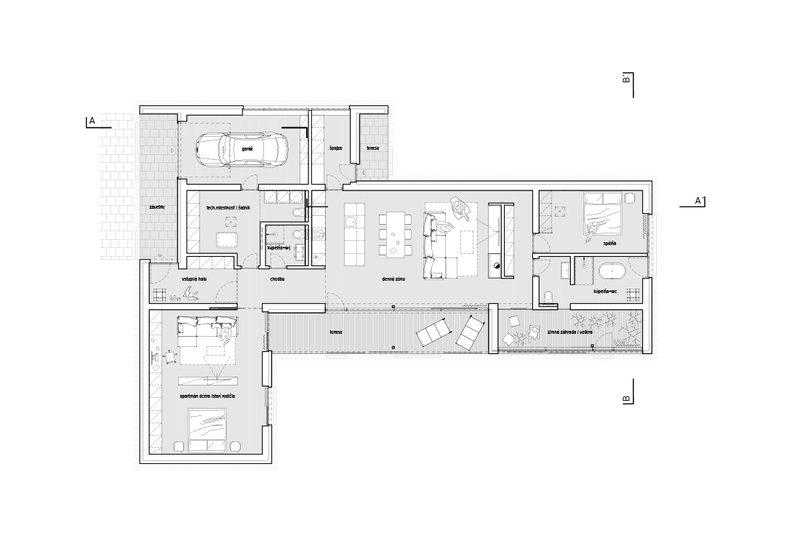 The T-shaped plan is functionally divided into three basic units – the entrance technical part, the separate small studio, and the main living space. From the architectural point of view, the house reflects close relationship of the owners with Japanese culture and its center exponentiates the “levitating” ceiling slab. The simple and natural character of the pavilion building will be in the near future supplemented by a bamboo garden.